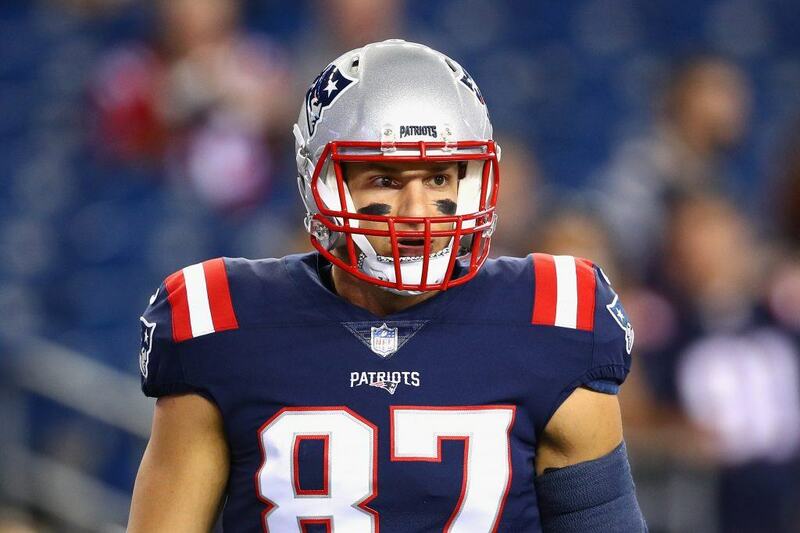 What’s going on everybody, and welcome to a short little article break before I get into the rest of my regularly-scheduled programming, as today I’m going to take a look at Rob Gronkowski’s fantasy value for the upcoming season. Posting 69 catches (nice) for 1,084 yards and 8 TD’s in only 14 games last season, Gronk continued his streak of finishing as the overall TE2 or better in three of the past four seasons. That’s absolutely incredible consistency that you crave as a fantasy owner. On a week-to-week basis, it was even better for the 29-year old Tight End. He finished as the #1 overall TE twice, and finished as a top-3 TE in five games, finishing outside of the top-12 in just 3 out of 14 total games. Gronk also had three 100-yard games during the regular season, and two games with more than just one score. There is no doubt that if Gronk keeps up this pace for a couple of more seasons, he’ll likely be in the Hall of Fame. But what does his past performances mean for this season? Should we be actively targeting him in all formats? Well let’s take a look at his current ADP. While Gronk’s ADP was a bit higher in the past (earlier in the summer, he could be found in the mid-3rd round), it’s still at a pretty affordable price. Currently, 4for4.com has Gronk going as the 7th pick in the end of the 2nd round, which is pretty good value for a Tight End that performs way above his competition. And it’s not just the fact that he performs way above his competition, he does so on a very predictable basis, like I mentioned above earlier. But what elevates Gronk for me is the offseason movements in New England. With Amendola and Brandin Cooks out of the offense, and Julian Edelman being suspended for the first 4 games, Gronk’s biggest threat to his target share is Chris Hogan and James White out of the backfield. Due to all the departures and suspensions, the Pats have the fourth-most vacated targets in the league from last year (240 total, 41% share). The Pats will look to continue their successful offensive metrics even with the departures, as last year New England finished 3rd in plays per game, 4th in passes per game, and 1st in both yards and points per drive last year. Gronk will definitely be the go-to guy for Tom Brady just based off of pure talent and and chemistry. Especially with Sony Michel’s extended injury, Gronk will be one of the only viable weapons in New England. I’ll gladly take Tom Brady’s top target with an expected increase in production in the late 2nd round. I know that a majority of arguments that fantasy owners make towards not selecting Gronk are the other Tight Ends that you can find a round or two later. You could take Kelce a few picks earlier, and Ertz a round later, so why not take them? Or a upside TE in the later rounds of the draft? It all comes down to personal choice, but the upside of Gronk isn’t matched when you take Kelce or Ertz. Both Kelce and Ertz bring some risk to the table, thanks to Sammy Watkins’ increasing presence and the uncertainty of Patrick Mahomes, and Zach Ertz, who will likely go through TD regression and his increasing ADP price. Either way you look at it, Gronk is a fantasy difference-maker in a great situation in New England with increased workload and the upside to score more than 15 TD’s. Buy him at all costs, especially in 10-team leagues that you need to fill up the sheet with studs. Alright guys, that is my time for today. I’ll be back in a few days to roll out a longer and more detailed article discussing running backs. Until then, don’t hesitate to drop a question or comment below! I have the first overal pick in a 2QB draft. In many of the mocks ive done I have my choice of usually Cam, Gronk, and one of AJ Green or Davante Adams at the 2-3 turn. Ive been taking Cam with one of the picks to avoid a QB run but struggle to choose between Gronk or the WR. We start 2 WR /1TE and 2 Flex along with 2RB and 2QB. Should i take Gronk or one of the WR? In the situations where i pass on Cam and go Gurley-Green/Adams- Gronk i find myself reaching for a QB(Jimmy G, Ryan, Mahomes, etc) at the 4-5 turn over other quality players at different positions. Which direction should i go in after Gurley at the 2-3 turn? @SOLO: Hey Solo! Thanks for the question. I agree with you taking Cam to avoid missing out on the QB slide, especially because it’s a 2QB league. When it comes to Adams vs. Gronk, it’s tough, but I would go with Adams if it’s a PPR league, and if the league size is 12+. However, if it’s a standard league, or a 10-team league, you’ve got to get the studs when it’s presented to you, and I’d go with Gronk.